Attention aspiring rappers, singers and entertainers of all genres! Before you set out to use your God-given talents to earn a massive personal fortune, please study closely the life of MC Hammer. Hammer's life is a true rags-to-riches-to-rags story. He rocketed to fame in the early 1990s, with hits like "U Can't Touch This," "Here Comes the Hammer," and "Please Hammer Don't Hurt 'Em." His rapid rise to fame earned him an absolutely massive fortune, nearly overnight. Unfortunately, by 1996, Hammer was dead broke. Worse, he was drowning in debt at a time when his career was turning out to be a flash in the pan. Pretty soon, Hammer was forced to sell all of his possessions and file for bankruptcy protection. This begs the question: how the heck does someone blow through so much money so quickly? MC Hammer was born Stanley Kirk Burrell on March 30, 1962 in Oakland, California. His father worked as a warehouse supervisor before a gambling addiction took over his life and nearly destroyed the family. Little Stanley grew up poor, with eight siblings in a small three-bedroom apartment in East Oakland. Hammer was an entrepreneur at a young age, selling stray baseballs and dancing to the accompaniment of a beatboxer in the parking lot of the Oakland Coliseum. It was Hammer's dancing that led to his first legitimate job. One day, Oakland A's owner, Charles Finley, saw the 11-year-old wowing a crowd of people in the parking lot with his amazing dance moves, energy, and flair. Finley hired Stanley on the spot to be a batboy and clubhouse assistant. It was the opportunity of a lifetime for any 11-year-old baseball fan. Hammer worked for the A's from 1972 to 1980. It was while working for the A's that Hammer acquired his nickname from none other than the legendary, Mr. October himself, Reggie Jackson. Jackson thought Stanley bore a striking resemblance to fellow legendary slugger, Hammerin' Hank Aaron. From that point on, Stanley would be forever known as "Hammer." Hammer, who played second base for his high school team, dreamed of becoming a professional ball player. After graduating from high school, he landed a tryout with the Bay Area rival, San Francisco Giants. Unfortunately, Hammer did not make the final cut. Next, he took a few undergraduate communications courses at a local community college, but was uninspired. After briefly considering becoming a drug dealer, he joined the Navy for three years. Hammer left the Navy in 1984 with an honorable discharge and a new goal in life: to become the most famous rapper and entertainer in the world. Right off the bat, Hammer began rapping and putting on live shows at smaller venues all around the Bay Area. After an early record deal went sour, Hammer borrowed about $20,000 each from former A's players, Mike Davis and Dwayne Murphy to launch his own record company. He called it "Bust It Productions" and sold records out of the trunk of his car, marketing himself relentlessly, and often showcasing his dancing to make a sale. Hammer released two albums through his independent label: 1987's "Feel My Power" and 1988's "Let's Get It Started." Hammer somehow managed to sell an impressive 60,000 copies of "Feel My Power" on his own, from the trunk of his car. The sales from both albums were impressive enough to earn Hammer a deal with Capitol Records that included a $1.75 million advance. 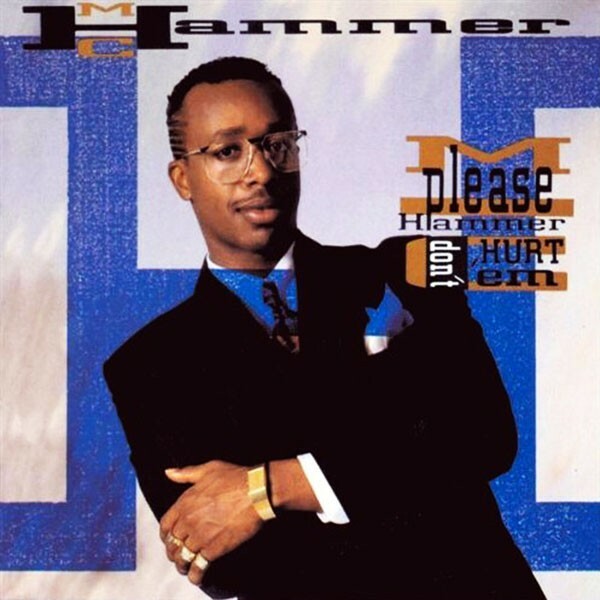 Hammer's debut studio album, 1990's "Please Hammer Don't Hurt 'Em," launched his career into the stratosphere. This album was also the first to bring rap into the mainstream. While his previous work produced respectable sales numbers, the success of this third effort was staggering. "Please Hammer Don't Hurt 'Em" sold more than 10.5 million copies in the United States alone, with worldwide sales topping 22 million. The album had three hit singles: the wildly popular "U Can't Touch This," "Have You Seen Her" and "Pray." In terms of worldwide sales, "Please Hammer" is still the most successful rap record of all time. Eminem's "The Marshall Mathers LP" is the second best-selling rap album of all time, with 19 million sold. Seemingly overnight, MC Hammer had achieved his goal of becoming the biggest rap entertainer in the world. Hammer's fourth album, 1991's "Too Legit to Quit," brought an expensive global tour and a series of very expensive music videos to go along with it. Despite selling 4 million copies worldwide, "Too Legit to Quit" was actually seen as a failure compared to the previous album. When you factor in the costs of an over-the-top global tour and expensive music videos, Capital Records actually lost money on the album. His fifth album, 1994's "The Funky Headhunter," was a serious departure from the previous releases. With the advent of gangster rap, this album was a somewhat desperate attempt to change Hammer's sound and image to something that really didn't fit. The album sold just two million copies worldwide, and the album after that sold a meager 300,000 copies worldwide. During the peak of his career, MC Hammer sold more than 50 million albums worldwide. As albums flew off the shelves, money rolled toward Hammer at an incredible rate. In 1991 alone, Hammer earned a reported $33 million. When adjusting for inflation, that's the equivalent of earning $50 million in a single year today. Times were good for Hammer, and he wasn't afraid to live large, very large. In fact, Hammer lived a life of lavish excess that would make some billionaires blush. Almost as soon as the money started coming in, Hammer went on a spending spree. He bought 17 luxury cars, a private jet, and 21 racehorses. Why does anyone need TWENTY ONE racehorses? The price he paid for each horse averaged around $250,000, with some priced as high as $1 million. He was spending money fast and furiously, as if it would never stop rolling in by the barrel. One of Hammer's biggest expenses by far, was his personal support team. As crazy as it sounds now, MC Hammer thought it was perfectly reasonable to travel with a 200-person entourage. To his credit, this entourage was made up mostly of out of work friends and family from his old neighborhood, whom he wanted to help out. Even with the best intentions, however, the $500,000 a month cost was seriously out of control. But burning through $500,000 a month on an entourage still wasn't Hammer's biggest waste of money. His mansion in the Oakland hills takes that prize. 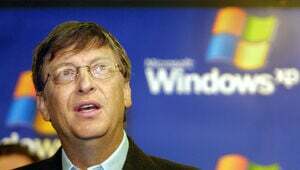 At the peak of his career, Hammer decided to spend $30 million building a lavish mansion in Fremont, California. He built the mansion in the hills overlooking the lower class neighborhood where he grew up – not exactly a prime location. The 12-acre property featured a 40,000 square foot mansion, a bowling alley, Italian marble floors, two swimming pools, multiple tennis courts, a recording studio, a 17-car garage, and a baseball diamond. It also featured a pool built in the shape of someone dancing in Hammer pants, marble statues of Hammer, and gold-plated driveway gates emblazoned with the phrase "Hammer Time." When you combine the cost of building and maintaining his dream home, the $500,000/month entourage, and add to it the fact that Hammer was burning through his cash at a seemingly unlimited rate, you end up with a lifestyle that is just not sustainable. This was even more the case with Hammer, as his popularity was now fading fast. So who exactly was keeping track of and authorizing Hammer's unsustainable spending habits? You'd think someone who earned the equivalent of $50 million dollars in ONE YEAR, would hire a financial wizard with a proven track record to manage his fortune, right? Not Hammer. He hired his older brother to manage all of his finances. A man who had absolutely no experience with, or knowledge of, accounting or financial management. Unfortunately, the financial hammer came crashing down almost as quickly as it was launched. Not only did MC Hammer blow through all of the money that was coming in, on top of that, he spent an additional $14 million he never earned, going through a total of about $50 million between 1991 and 1996. This means that Hammer went through approximately $73 million (in today's dollars) in just five years. 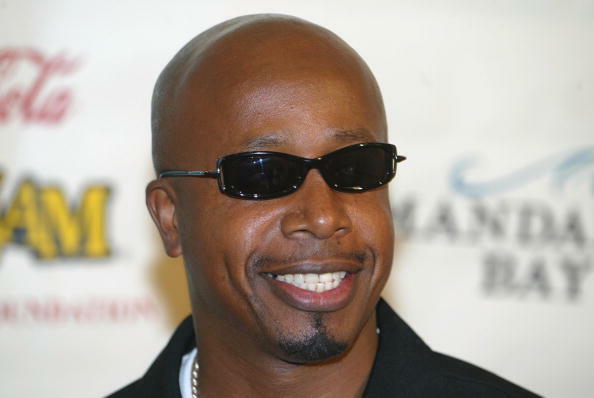 In April, 1996, MC Hammer filed for bankruptcy in California. In the filing, he listed over 200 creditors, including former NFL player Deion Sanders, who had loaned Hammer $500,000. But his real financial enemy turned out to be the IRS. For the next 20 years, Hammer fought with the IRS over what it was owed. Unfortunately for Hammer, filing for bankruptcy does not erase IRS debt. As recently as December 2013, the IRS filed a lien against the rapper for nearly $800,000 in unpaid taxes from 1996 and 1997. The State of California has liens against Hammer for $500,197 from delinquent tax returns for 1991-1994. He also owed Alameda County over $230,000. According to recently released legal documents, every dollar that Hammer earns to this day must first go to the IRS before being distributed to him directly. After declaring bankruptcy, a bank sold Hammer's beloved $30 million dream mansion for just $6.8 million. 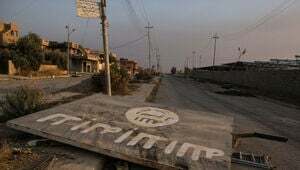 All the cars were taken, along with the plane and the horses. The 200-person entourage disappeared practically overnight. It must have been brutal. Hammer's career has never really recovered, despite a few comeback attempts. Today, he is a preacher in Oakland, not far from his dream home – an ever-present reminder of what once existed. So what's the lesson here? It is simple, really. Save your money, don't spend $30 million on a mansion, don't buy 17 cars and don't buy 25 horses. And please do not hire a 200-person entourage. Perhaps the biggest lesson for anyone reading this who plans on becoming a huge superstar, hire the best accountants and financial planners in the world. That's the one thing you should feel free to splurge on. MC Hammer net worth: MC Hammer, whose real name is Stanley Kirk Burrell, is an American rapper, entertainer and dancer with a current estimated net worth of $1.5 million. Despite MC Hammer's success on the charts, his excessive spending put him in a major financial hole that he is still attempting to get out of, but it seems that the hole just keeps getting deeper. Talk about a bad day at work! Australia's richest citizen Gina Rinehart just lost control over a $3 billion trust after a lengthy and bitter family war.